As announced in January, as part of the Invest Syracuse initiative and plans to expand mental health services, the Counseling Center is pleased to welcome Karin DeLeon and Danielle Jones G’16 as new staff therapists. In these roles, DeLeon and Jones will provide mental health and wellness services, individual and group therapy, crisis intervention and educational outreach programming to students. 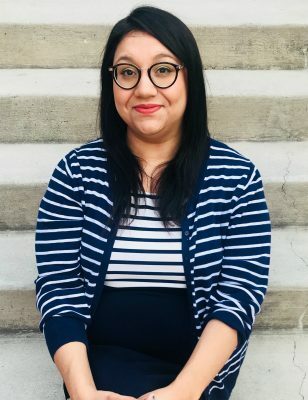 DeLeon joins Syracuse University from Virginia Commonwealth University (VCU), where she serves as an advanced mental health resident in VCU’s Counseling Services. She is also an alumna of VCU, where she earned a Master of Social Work and bachelor’s degree in psychology. DeLeon brings nearly a decade of clinical social work experience, spanning behavioral health interventions for at-risk youth, individual and group therapy, sexual and domestic violence advocacy, and crisis response. In her current role with VCU’s Counseling Services, DeLeon also concentrates on working with students from traditionally underserved communities, providing training to psychology and social work interns, and creating outreach programming. She utilizes relational cultural theory and an interpersonal process therapy approach in her therapeutic services. In addition to her professional experience, DeLeon has served as a researcher with VCU’s Department of Psychology and Department of Social and Behavioral Health, as well as with the Massey Cancer Center and Mid-Atlantic Twin Registry. Since graduating from Falk College’s Master of Social Work Program, Jones has served as a therapist at Vera House Inc., a comprehensive domestic and sexual violence service agency, providing therapy services to adult, youth and children survivors of violence. Jones has also brought her multicultural, multi-systemic and interdisciplinary approach to her clinical experience as a counselor with Le Moyne College’s HEPP Upward Bound Program; a program associate with Syracuse Jewish Family Services; an adult outpatient clinician intern with St. Joseph’s Behavioral Health; and a student therapist with SU’s Couple and Family Therapy Center. In these roles, Jones has provided trauma-informed therapy, crisis intervention, integrated care, gender and sexuality affirmative therapy, school-based and community-based therapy, and spirituality/faith-based therapy. Prior to coming to Syracuse, Jones earned a bachelor’s degree in human development and family studies at the University of North Carolina–Greensboro. 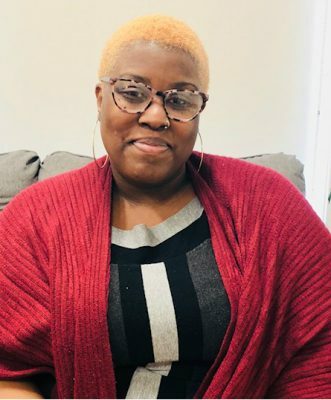 After graduating, she spent a year participating in the AmeriCorps VISTA program at Fayetteville State University’s Office of College Access Programs and continued as a certified academic coach with the office before pursuing a master’s degree. “As we expand our staff, Karin and Danielle not only bring vast and varied counseling experience to the center, they both share a genuine excitement to join the University community and engage students inside and outside the Counseling Center,” says Cory Wallack, director of the Counseling Center. DeLeon begins July 16 and Jones begins Aug. 1. Two more staff therapists are expected to be hired this summer. For more information about services and programs, visit the Counseling Center website. Invest Syracuse: Advancing Academic Excellence and the Student Experience aims to provide all students with a distinctive, world-class learning experience that prepares them for professional and personal success. The three-pronged initiative seeks to redefine the student experience, advance discovery and innovation, and expand opportunity for students of promise and talent from across the socioeconomic spectrum. To learn more about Invest Syracuse, visit investsyracuse.syr.edu. Syracuse University is a private, international research university with distinctive academics, diversely unique offerings and an undeniable spirit. Located in the geographic heart of New York State, with a global footprint, and nearly 150 years of history, Syracuse University offers a quintessential college experience. The scope of Syracuse University is a testament to its strengths: a pioneering history dating back to 1870; a choice of more than 200 majors and 100 minors offered through 13 schools and colleges; nearly 15,000 undergraduates and 5,000 graduate students; more than a quarter of a million alumni in 160 countries; and a student population from all 50 U.S. states and 123 countries. For more information, please visit syracuse.edu.